The Luftwaffe had many impressive fighter-bombers in its arsenal throughout World War II. 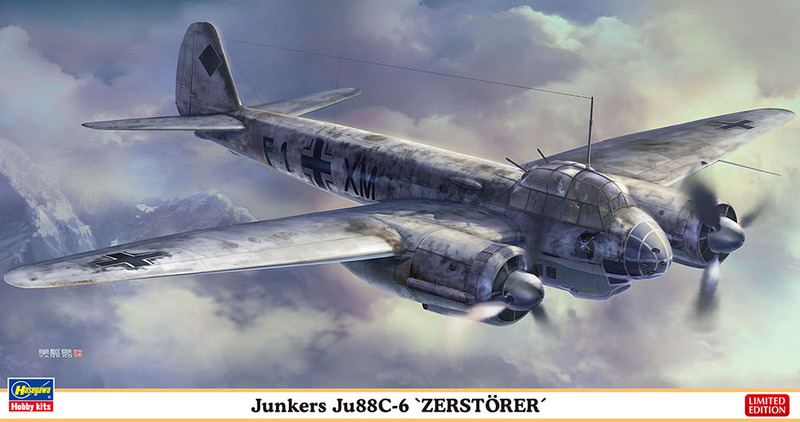 Without question, the Junkers Ju 88 was one of the best. 900 C-6s were produced by Junkers in all. Major differences included belt-fed machine guns in place of drum-fed machine guns, along with more powerful engines than previous variants. Many C-6 aircraft were adapted for use as a night fighter, adding airborne intercept radar and twin "Schräge-Musik" 20 mm cannons. This limited edition kit features one marking option.